Give them a sense of the structure of language. Help them learn to listen and concentrate. Stimulate social skills and emotional development. Helps them explore their world. But did you know reading can be for a world record? Jumpstart’s Read for the Record campaign brings children together with valued grownups in their lives to read the same book, on the same day, in communities all over the world. Join Jumpstart and FasTracKids while we read and break last year’s record. 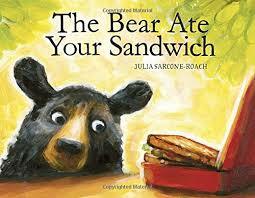 This year, on October 27 we will read The Bear Ate Your Sandwich, a classic tale of a bear’s epic journey and the mystery surrounding one delicious sandwich! For more information, visit FasTracKids’ Read for The Record event page.